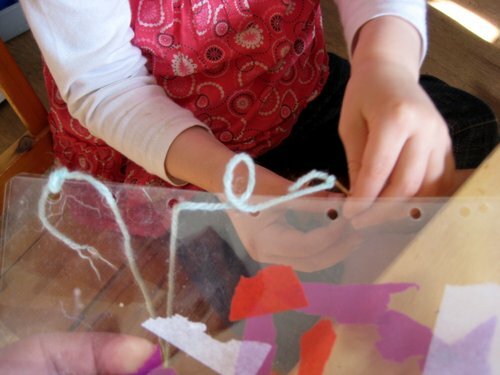 What all the best-dressed kids are accessorising with this season: make your own bag! 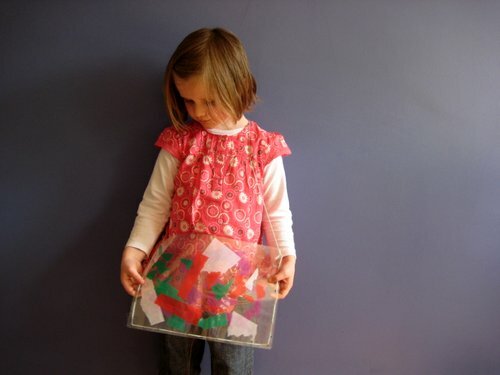 We really enjoyed making our tissue paper suncatchers, so we decided to adapt the technique to make a bag. 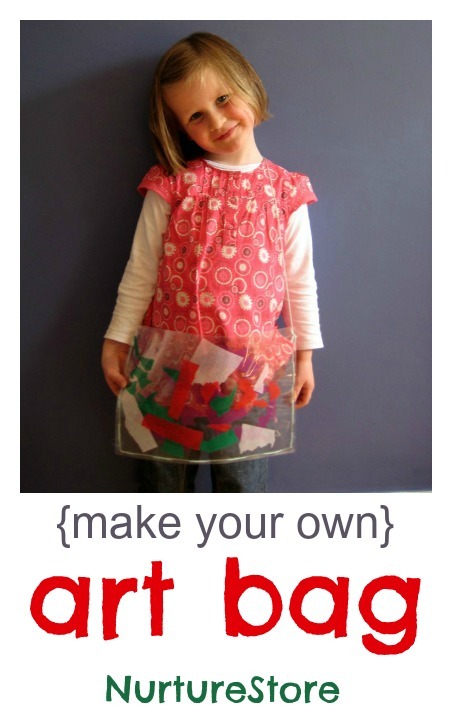 It’s really easy to make and lets the children create their very own designer bag. 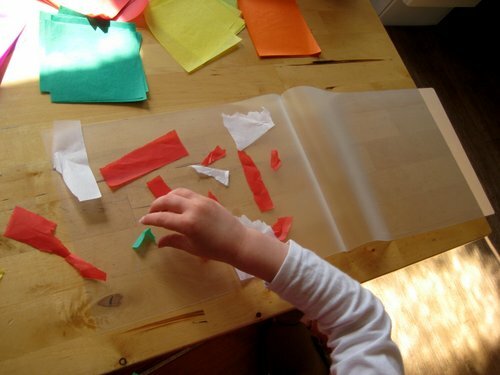 We started off, as before, by laying out tissue paper on to a laminator pouch to create a colourful design. Then we put it through our laminating machine. We made two of these laminated art sheets. Then, holding the two laminated pictures together, we hole-punched a series of holes around three sides of the pictures (so the holes were in the same place on each picture). 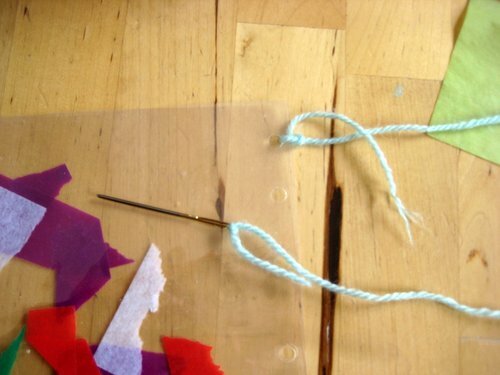 Using a large, blunt needle and some wool, L stitched around the three sides to join her bag together. 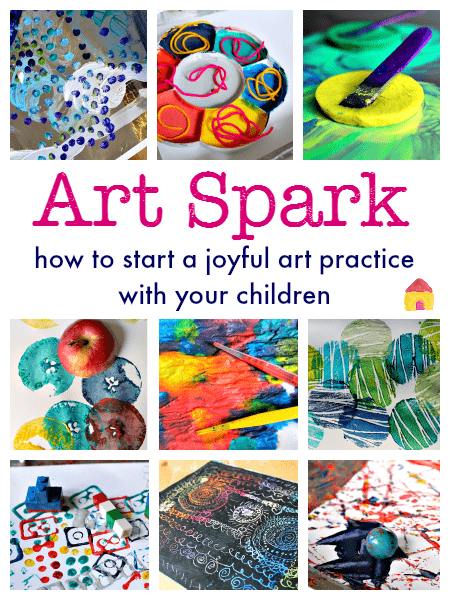 (Perfect to help develop fine motor skills.) We used the extra wool to make a handle. Her very own original design bag – and just the right size to fit her library book. ooh you could do this with photos! Love it! Hi Becky. Photos are a great idea. It’s versatile so anything goes -painting, drawings, whatever they like! What a cute idea. I need to remember to try something like this. Oh what a great idea!!!! LOVE IT, thanks for sharing. From [email protected] Excuse Me Mrs.C! Thanks for linking up to Tot Tuesdays! That a neat idea. I hope you’ll join me again next week for another fantastic party! Have a great week!